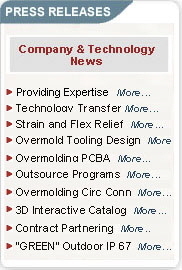 POMONA, Ca., August 10, 2002 - ISC Engineering LLC is using SolidWorks 3D PartStream.NET® to enhance customer productivity while increasing sales of its overmold tooling and strain relief products. Powered by 3D PartStream.NET, ISC's online catalog allows design engineers to view interactive 3D models of ISC's' overmold products and download the exact product configurations into their designs, reducing their overall manufacturing costs and increasing product quality, while ensuring customers incorporate ISC's' products into their designs. 3D PartStream.NET enables customers to download 3D CAD models of ISC's' products in a few minutes instead of taking hours to draw components from scratch. 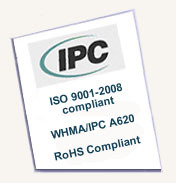 "Our customers rely on us to deliver products quickly according to ISC's co-founder and President, Steve Burk. "Using 3D PartStream.NET, our online catalog gives customers real-time access to accurate 2D and 3D representations of our components in the CAD format of their choice. This convenience and reliability gives us a distinct advantage over our competitors." ISC chose 3D PartStream.NET because it supports a variety of CAD formats and was easy to integrate with the company's existing online catalog. Previously, ISC maintained a large database of static 2D and 3D CAD files to support its online catalog. As business grew, it needed to more efficiently manage CAD data. Products such as ISC's "Strain Relief's" have millions of possible configurations, making it nearly impossible to manage thousands of CAD models. "Engineers work in fast-paced environments and always need new ways to increase output and reduce time to market," said Loc Ha, co-founder and vice-president of Engineering, and resident technical expert for ISC. "From the initial concept to the production floor, ISC is supporting their customers with innovative products and Web-based solutions for increasing customer productivity.